The book is an AMAZING learning tool for children as well as adults. I'm actually buying an extra book and donating it to The Boy's new school. Since he'll be in a regular public school, I want the other kids to know more about autism. Autism awareness needs to start with children at a very early age. Children who accept and understand individuals with special needs will grow into adults who accept and understand. My Friend with Autism is a great place to start. 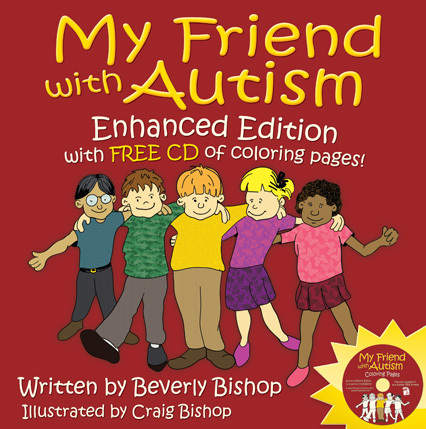 Written in clear and simple language, the book defines the common characteristics of autism and also suggests how to help manage situations. For example: "Change is hard very hard for my friend. I try to help by telling him what is going to happen next." Bishop educates the reader on all the unique perspectives of children with autism while noting their similarities to 'typical' kids. "Just like me, my friend does many things very well, and some things are hard for him." My Friend with Autism is definitely a book you will want to own and tell others about. 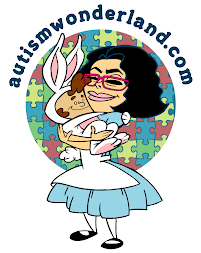 *Check out Many Hats Mommy review of My Friend with Autism here. I was not compensated in any way for this review. The opinions stated are my own.